The common bond that brings us together is service to our community. In the performance of that service each of us has been enriched by the friendships and understanding or our fellow man. For this, and for those who have gone before us, we are grateful. The Eggertsville Hose Company is the second oldest fire company in the town of Amherst and had its beginnings in 1906 in a corner meat market. A group of residents raised the then vast sum of $113.13 in just thirteen minutes at the old Sauter's Market at the corner of Main Street and Eggert Road. These residents met after two serious fires threatened the safety of the neighborhood. One blaze destroyed the home of Harry Flading on Callodine Avenue and the other leveled a haystack owned by John Chassin. A series of meetings on the fire protection problem resulted in the formation of the Eggertsville Hose Company. It would replace the bucket brigade, which had failed to save the Flading home. The Hose Company's first chief and president was Rudolph E. Boetger, town peace justice and president of the District 13 School Board. Boetger had been a member of the Cayuga Engine Company in Lancaster during the 1870's and 1880's. Boetger held the office of chief from 1908 to 1926 and the office of president from 1908 to 1909. 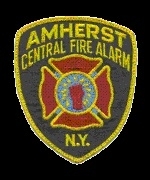 At that time, he had the distinction of being the oldest active fire chief in New York State. From the very inception of the fire company, a ladies auxiliary flourished. Its efforts and contributions at picnics and social affairs aided and sustained the Company immensely. However, the coming of prohibition caused a rift between the Hose Company and the auxiliary. The ladies were 'dry' and the men 'wet.' The differences between the two could not be resolved and the Hose Company dissolved the ladies auxiliary. The firemen hosted parades and picnics each year to raise money and on May 8, 1908 the fire company was incorporated. A plot of land was then purchased at Main Street and Maynard Drive, and a frame building was soon erected by the membership who did all the work voluntarily with old railroad lumber. A spring wagon with fire equipment and hose became Eggertsville's first piece of apparatus. It was horse-drawn, usually by Bill Manning's horse, as he was the closest man available. Next came the acquisition of two six-foot hose reels carrying 1,000 feet of 2 1/2 inch hose. One reel was stationed at the corner of Main Street and Maynard Drive and the other at Callodine Avenue and Main Street. Both were hand-drawn rigs. The alarm system consisted of an iron railroad wheel with a gong that was suspended next to the station and was struck with a hammer to sound the alarm. Finally, the traditional red shirt and wide belt was adopted by the membership as the company uniform. 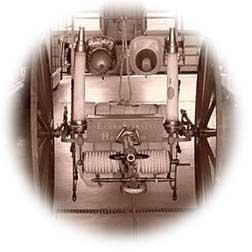 Motorized fire departments soon became the norm and in 1924 the Hose Company purchased a four-wheel drive pumper. It was manufactured in Clintonville Wisconsin and was paid for by donations and a $10,000 mortgage. During the same year the Exempt Firemen's Association and Eggertsville Hose Club was founded. The club, a source of fond memories, was then discontinued on July 4, 1965. The burning of the original building's mortgage was celebrated in February 1928. Plans for a new building were immediately discussed and ground was broken in September 1931. Station One located at 3826 Main Street was dedicated on May 8, 1932, exactly twenty-four years after the Hose Company was incorporated. The same year also saw the installation of the Gamewell coded telegraph alarm system which remained in service until 1981. Eggertsville initiated first aid work under Bill Bradley in 1932 and was the first local fire department to maintain an American Red Cross Highway Station. In those days the Rescue Squad responded to calls over a wide territory and helped other fire departments form their own rescue squads. During the Great Depression, money was scarce and time plentiful. the members added equipment by remodeling motor vehicles. Additional apparatus included a Model-T Ford, a 1920 Buick with a home made pump, a 1925 Hudson Chief's car and a converted 1932 Cadillac which served as a rescue vehicle. The four-wheel drive pumper dropped its crankcase answering an alarm in Tonawanda in 1936 putting an end to the departments first motorized vehicle. The Company put into service its first spray nozzle in 1936, the fore runner of the fog nozzle. In the spring of 1937 the Company put into service a 750 gallon-per-minute Mack pumper featuring a 50 foot wooden bangor ladder, which remained in service until 1982. A 600 gallon-per-minute Brockway was also added to the apparatus fleet in 1940. A version of the Company's present day dress uniform was then adopted one year later. After World War II the rapid growth of the community necessitated growth of the department. Another 750 gallon-per-minute Mack pumper was added in 1949, and one year later a new Ford rescue truck was put into service. The Hose Company continued grow and in 1961 a new Ward LaFrance pumper with a 1,000 gallon-per-minute pump was added and a new Ford rescue truck followed in 1965. Eggertsville's Station Two, located at Carmen Road and Amsterdam Drive was constructed in 1966. This substation was built to serve the north end of the district. A 1,000 gallon-per-minute Mack pumper was acquired in 1968 with an additional Ford rescue unit purchased for Station Two in 1972. An addition was erected to the substation in 1973 and a Dodge Ambulance was put into service the following year. In 1974, an American LaFrance 85 foot snorkel quint was acquired. In service until 2001, this truck featured 206 feet of ground ladders and a 1,500 gallon-per-minute pump. In the early years before motorization, lighting storms were a constant threat. During such storms, a lightning watch was established. This watch evolved over the years into what is currently referred to as "Night Duty" where firemen sleep at the station during the night. On occasion, this service is still in existence today to benefit the community with an immediate response regardless of the weather. Sadly, the Hose Company has lost members not only to fire but war. The United States entered World War I in 1917 and many members of the Hose Company served in battle. Corporal Edward F. Schoelles of Company K, 7th infantry was mortally wounded in the battle of the Meusse Argone on October 16, 1918 and died in the U.S. Veteran's hospital in Greenville South Carolina on March 29, 1922. World War II claimed another member of the department while on military duty. Platoon Sgt. Frederick John Brunner, USMC, was killed in Europe. Tragedy also struck at the scene of a structure fire on Westfield Road in 1970 with the line of duty death of firefighter Edward Guarino. Several members of the Company have been recognized for their actions over the years. William Belinson was the recipient of the New York State Firemen of the Year Award in 1957 in recognition of two separate rescues from burning structures. Belinson would later become chief of the department in 1960. In 1991, firefighters Michael Rotola and Eric Gibson were honored as "Firemen of the Year" for their rescue of a man from a burning second story apartment fire in the fall of 1990. In 1992, Assistant Chief Peter Miller and firefighter Stephen Hodges were honored as "Firemen of the Year" for their actions in the rescue of a mother and child and the recovery of a father and child form the second story apartment of an arson fire. The Company was also awarded the "Excellence in Team Work" award in 1993 for the trench rescue of a worker at who became buried during excavation. This award was received several more times over the past several years for life saving actions involving the Company and patients that were saved after going into cardiac arrest. In 1995 the Eggertsville Hose Company moved into a new fire station located at 1880 Eggert Road. This new station consolidated stations one and two, returning them to the tax rolls, while also improving response time to emergencies now that we are centrally located in the district. In November of 2014, the mortgage for 1880 Eggert Road was paid off and a celebratory burning of the mortgage was held in December. As the community continues to grow, additional updated equipment has been added. Today our fleet consists of three 1,500 gallon-per-minute Pierce pumpers, one 100 foot Pierce aerial with articulating arm, one light rescue truck, one Pierce heavy rescue unit, one Chevrolet utility pickup and three Chevrolet chief vehicles. This site has been viewed 466,127 times.